The excuse man may get the nod as it does a pretty good job of describing the problem in one term. After these four years of an Obama presidency, however, the term for making excuses or alibis all the time will be “pull an Obama as in, "Hey, he just pulled an Obama!" Obviously, Obama has pulled an Obama and he continues to pull Obama’s as time runs out on his one term in office. For example, Obama categorized all of the problems for the past two years as George Bush caused. There is nothing worse than a President with no cojones, as identified by none other than Sarah Palin. Obama should know more than anybody that his lack of cojones is not George Bush’s fault. 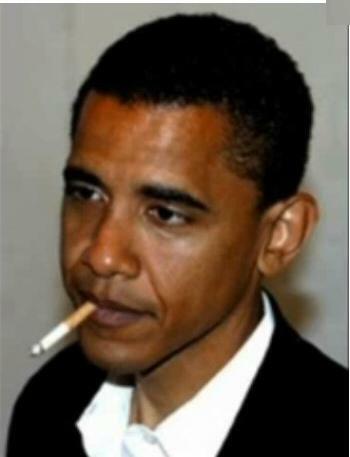 Barack Hussein Obama or Barry Soetoro, or whoever Donald Trump finds out he really may be, according to Sarah Palin in the final analysis, is a person with no guts, who has no problem at all with taking all the glory for any reason. In fact, he likes glory, and if you are one of his adoring public and you are willing to worship him, he’ll take that also. Women know men sometimes better even than men. Blaming Bush for the bad and crediting Obama for the good may be a great campaign notion, but it makes for a poor presidency. We now are suffering from its disastrous effects. BTW, the Presidency of which I speak is one which Robert P Casey, Jr. fully supports as he too lacks the ingredients to lead this country. He showed Pennsylvanians he had no guts when he hid from the public during the infamous Town Hall shout-outs, which happened all over the state. Senator Casey was too busy or too afraid to meet the public. At least Benedict Arlan had the right stuff to withstand criticism. Casey and Obama need to stop blaming Bush! George Bush is just a regular citizen today living in some burg in Texas. Let him be! Barach Obama and the 111th Congress with Reid and Pelosi at their respective helms took the definition of poor leadership to new lows. And, all the while that they took America on a dark journey; they blamed George Bush for the darkness. Bush also got blamed for rain, disease, and pestilence. Now, the 112th House, which was purged of many of the incompetents, seems to be doing just fine, but the new Senate, with far too many wimpy leftovers, such as Robert P. Casey Jr., is emboldened to keep the work of the worst Congress ever, the 111th , as US law. The 111th Democratically controlled Congress all loved Obama, a man who clearly has a chip on his shoulder against America. The 111th Congress forgot that their mission was to do the will of the good people of the United States of America. This Congress is just a bit better but somehow Obama keeps leading the country to ruin. It has only been two years but it seems to many good people as an eternity. Over the last two years, the American people have come to see the truth as never before. Robert P. Casey, Jr., and many other progressive Senators have yet to absorb the public's message, and so they believe they still can prevaricate with no backlash from their common constituency. Can they possibly believe that we the people do not know what is going on? Do they think we will ever permit a return ticket to any of the bums that still are in Congress ? Senators like Robert Casey, Jr., because they refused to hear the people's message in 2010, are destined to receive a different "change" message for sure in 2012, loud and clear. There is a price to pay for ignoring the people. The people run the government, but only when the people are awake. The people are now awake. For Casey, worship of Barack H. Obama is an ongoing sin, for which he has not repented; nor has he even acknowledged it as a sin. Mr. Casey seems to continue in the belief that carrying the water for the President is in his best interests. He actually thinks being Obama's favorite candidate will help him win the 2012 election. He's wrong and Pennsylvania’s own Brian Kelly is positioned to assure that the people have an alternative to a Senator that has spent the last four years of his term serving as one of Obama's aides. Mr. Casey has forgotten how much Americans, Democrats and Republicans alike, like the Tea of patriotism far better than the stain of progressivism. Being a Democrat does not necessarily mean that one must be a progressive. Senator Casey knows or at least should know that Americans are exceptional people. Pennsylvanians know that they can be Democrats without being for socialism, Marxism, or progressivism. Brian Kelly plans to work to bring our nation back from the destruction of capitalism and the onslaught of progressivism, to a world that his father, and your father would be proud of. Whether George Bush, who never seemed to be doing the right thing according to the Press, was really bad, or was just painted as bad, is debatable. What is not debatable is that the Press pushed against everything Bush did so that by the end of eight years, right or wrong, the Country surely was suffering from what some might call Bush fatigue. How can all these bright minds in the Press think George Bush is so bad if he is not so bad? We now know that this same Press is aligned politically to the progressives and Bush never had a chance. Pennsylvanians are not progressive. We are for life, liberty, and the pursuit of happiness. We are not for collective enjoyment. We are not for rule by the collective. We are for rugged individualism, and freedom of spirit. Don’t fence me in! You may recall that before Bush, in similar vein, the Press did a similar job on a President. It supported Mr. Clinton despite his knack for committing the big personal mistake of the day. Eight years or so earlier, from the Press taking sides on issues v reporting the news, the country suffered the same malady with Clinton fatigue. Yet, nothing compares with the intrusion in people’s lives offered by the czars in the Obama Administration. It is actually oppressive. Nobody, in either the Bush or Clinton Administrations made it seem like it was a good idea for the government to get more active in controlling people's lives. Nobody asked the government to begin to control everything. The people did not perceive that kind of change as necessary. Nobody had asked the government to be in our school cafeterias, soda pop bottles, bedrooms, bathrooms, pantries, or refrigerators? Why does the government think it needs to legislate personal behavior? Why does Robert P. Casey Jr. vote with his party, rather than with Pennsylvanians on such matters? From unimportant things such as big taxes on juice and soft drinks and small pleasure items to one ply toilet paper instead of two-ply to more serious matters such as no Mammograms for women over 40, the new Senate-approved Obamaczars and socialist bureaucrats have been changing the US to what Russia was before President Reagan ordered the big wall torn down. Most people cannot believe it. Yet, Senator Casey supports it, endorses it, cherishes it, and defends it! So the people don't wake up to find Obama and the new 112th Congress in their socks, their underwear, their private items, and their bank accounts, this administration and the "irreplaceable" Senate have been rushing to get the "transition" job done before anybody notices that our freedom is gone. The "transition" is from America to something un-American. That is not the change for which anybody was looking. Unfortunately for the country, it is my party, the Democrats, who have done all this to us and it is time to replace all of the corrupt Democrats in Congress with real people. Brian Kelly would like to present himself as one of the candidates willing to represent real people, if you would be so kind to consider his nomination. Senator Robert P. Casey Jr. has lined up as one of the bad guys. The Senate has become the most corrupt institution in government in 2011. Try as you may but you will never even get to speak with a Senator. They are like Gods! And this Senate, the 112th, can be counted on to take Casey’s lead, and strike out with the needs of the people. Must the Senate be so corrupt? I have to believe that deep down the Democrats in Congress want to make everybody's life better. They just are not showing it too well because collectively they believe in the dogma of progressivism as the solution. It is a poor solution and in the 1920’s it became so obvious, all the progressives were run out of town. They abhor the term liberal which is far less toxic in implementation than progressive, so they reincarnated the term progressive to describe their radical views on undermining America. I do not think that any Democrat is for undermining the country or making America weak? But their leaders know exactly what they are doing. Regular Democrats go along because they take their orders from those who are the enemies of the people. Democrats need to be freed from these radicals. Brian Kelly hopes to help Democrats become free again. Progressives are the enemies of the people. It is amazing what is happening before our eyes and it is one of the big things Kelly is positioned to change. If you don't see it, then permit him to admonish you of one thing, "Please pay attention, our freedom is on the line." As bad as the Bush Administration was reported to have been by the main stream, low-ratings media, ole Bush and company never tried to stifle your life or Kelly’s life with massive regulations and massive taxes. Why is giving his earnings, your earnings, his home value, and your home value to somebody else a hallmark of government? Bush may have wanted and may have gotten what he needed to run the government but he was not trying to take yours. Bush never declared human exhale a noxious and hazardous gas. If you have not been paying attention, you may think I am kidding. I am not. The hard left, who have rejuvenated the term, "progressives" to describe their purpose, should never be permitted in public office again. They simply care nothing about the public. As you know, the public 'R US! Democrats have been plain silly since they took control of the Presidency in 2009 (Congress in 2007) and though there is now some sense back in the House (2011 112thCongress), it is only one half of Congress. That is why Brian Kelly is considering running for the Senate. The Senate is comprised of what seems to be old farts and reprobates. Perhaps they all need to be replaced. If we can't get the full third out this time, let's really take a look at how bad they have done against us, and get rid of at least those who do not place the American people above all other concerns. Let’s move on to other considerations. How about Bush and his cronies, in their time, changing things so that extreme Muslim terrorists found America to be an easy target. You’re right. Bush and his coterie never did that. In fact, as despised as he is by most Democrats, he was a great defender of America. Unfortunately, several years after 9-11, the mainstream Press reported that the people did not want Bush defending them because they blamed him for 9-11. Can you believe that? There are those who like beer and pretzels who watch every news broadcast who believe that Obama is just about ready to hand the country over to any third rate power that hates America. Why would it be good for Democrats to think losing America is OK. That’s why we Democrats have to look a little closer at the crap the party leaders are feeding us. Is this still the case? One might conclude from the poor results of the Pelosi/Reed 110thCongress, and then the 2009/2010 111th Congress that Democrats could not even manage a hunt for mice droppings. Having been in charge for two years when the newly elected BOH in 2009, gave away our Christian founding to those who think the American Revolution came from a general’s buzz from a great winefest of the 1700's, why would normal people think that American recovery was not in the offing? My candidacy to win the Democrat nomination for Senator, as you might suspect is not endorsed by the established party leaders because they would prefer to give you more of the same. The “same” includes their two favorites: corruption and general misuse of the people's treasury. BOH and RPC are amassing war-chests to be able to lead this country. But to where? My candidacy is the right medicine for the Democratic people of Pennsylvania to fight the move to progressive socialism. You pay taxes. You should keep what you need and not be burdened to supply the needs of those who choose not to work, and those who have not entered the country legally. Like you, I do not intend to go with the flow of Democratic leadership. I do not expect any established politicians to get up any day soon to give a speech that heralds my choosing to run for office. In fact, I am quite pleased with that. I am the real deal. I would be worried otherwise. It's time for all hard left Democrats in Washington to be called home and to be replaced by better Democrats. As hard as it is to say even the Republicans in Congress have done a better job over the last few years than the Democrats. Unfortunately, because Nancy Pelosi was such a strong, but negative leader, and surely a misguided Speaker of the House, nobody ever got to know what any Republican proposed about anything. Even a Republican comes up with a good idea every now and then. Even Democrats saw how wickedly Ms. Pelosi shot down all Republican ideas, even better than Annie Oakley doing the clay pigeon tour. Meanwhile Bob Casey Jr. was sleeping, or so it seemed. None of the country’s matters mattered to Bob Casey Jr. If Nancy or Harry created an utterance, the Casey staff was there to say that was exactly how the Senator was thinking. Somehow, to the chagrin of good Pennsylvanians, our party, the Democrats, have changed to Socialists, Marxists, Fascists, while at the same time calling themselves Progressives. Most of the people of Pennsylvania will have nothing to do with that because most of it is anti-American. That's why they will embrace my candidacy as what is right for Pennsylvania. I offer a no politics approach to government and I think the people understand that quite well. They are looking for change they can live with. The Administration with hard left Democrats in charge for too many years have abandoned the American people and along with the 111th Congress with Democrats, my party, and Bob Casey's party in charge, they continue to siphon the American Treasury to make it more comfortable for trespassers in our country than citizens. Why do the foreign nationals who sneak into the US have more rights than US citizens, and how is it they benefit from our bounty more than our own citizens? I regret to say that Democrats today in Congress have become un-American. That is not the change anybody asked for in 2009, and it is time to send them all home and to clean up the Democratic Party. It starts at Home. Home is where you and I live. No incumbent who does not espouse the 76 Regrets on this site should be elected. I had been looking for a wholesale 435 representatives exiting the ranks after the 2010 elections. New would be good for America. However, at Tea Parties, I have seen that there are those, D, and R, who still have America at heart. There are not many Democrats in their lot, unfortunately. But, that is not because they exclude us. Democrats need to look at what is best for America, and these groups of regular Americans from all walks of life, who are now disparaged by our party leaders as the “Tea Baggers,” know what is good for America. Shame on Democrats for using such low-life, guttural terms for the TEA party members. The fact is, if you haven’t been home for ten or so years, you may find your own mom and Pop in the TEA party. Ask them what the thinking is all bout. As a Democrat, and as a TEA Party member, I am pleased to be fighting for America. What are you fighting for? We need more Democrats and even more Republicans to respect the values expounded by the founders. But, we need little of the same. The Founders never expected the people to vote scoundrels back in office. We are smarter than to ever do that again. And, while we are not doing that, maybe we can clean up the Democratic Party so the regular people in Pennsylvania no longer fear it!